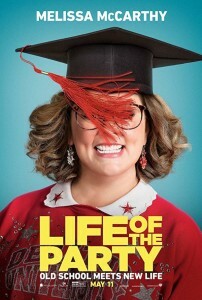 Life of the Party (PG13) is in theaters now. Melissa McCarthy faces mean girls and frat boys in this comedy about a divorced mom heading back to her alma mater for senior year. Her daughter is also a senior there, and if the premise sounds familiar, think “Back to School” from 1986, but from a female perspective. It’s a funny, feel-good film about believing in yourself and having fun. Breaking In (PG13) is in theaters now. Shaun (well-played by Gabrielle Union) takes her two kids to prep her late dad’s house for sale. They discover the house is like a fortress, full of the latest high-tech security. They also find a pack of dangerous guys trying to rob it. Shaun does everything in her power – and then some – in an attempt to save her kids. 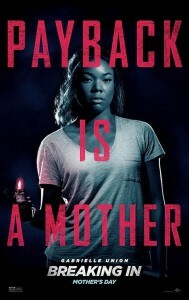 This is a great action film, without foul language or much gore, that shows just how strong a mother can be. Mary and the Witch’s Flower (PG) is on DVD. This anime is the first for Studio Ponoc, which was started by a former Studio Ghibli producer, and the similarities are apparent. Mary gets temporary magic from a mysterious flower, and is transported to a school for witches. When her new friend is kidnapped, she must figure out how to save the day. The animation and characters feel familiar, with fantastic creatures, family secrets and a whole lot of fun! 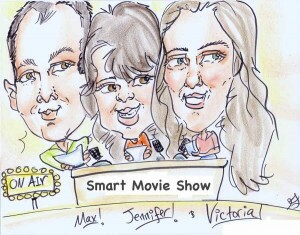 Plus box office results, movie news, what’s out on DVD & Blu-Ray and more!